Senior public sector leaders asked W. Edwards Deming asked this question in the early 1980’s. His approach was working in companies around the world. Would it work in the public service? “I don’t know,” Deming said. Some diligent leaders ran experiments – with decidedly mixed success. As a general rule, government departments most similar to private sector operations had the greatest success – (e.g. a city’s motor equipment division which maintained & repaired its cars & trucks). But the literature suggests that even those areas were unable to sustain continuous improvement, which as we know, entails building a supporting management system. That said, our colleague, Gary Vansuch, has cited encouraging activities in the U.S. Department of Transport. Well done, folks, and please continue. What are the obstacles to Lean in government? I’ll explore this question in upcoming blogs. There’s a great deal at stake. Good people are giving their all to continuous improvement in government. 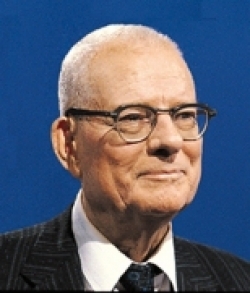 Why shouldn’t civil servants have the opportunity to develop what Deming called ‘pride of workmanship’? Why shouldn’t they be involved in developing and improving their work processes? Why shouldn’t their work be fun and motivating? In fact, morale in the US and Canadian federal governments is at all-time lows. Good news: Federal worker morale has finally bottomed out. Bad news: It’s still terrible.